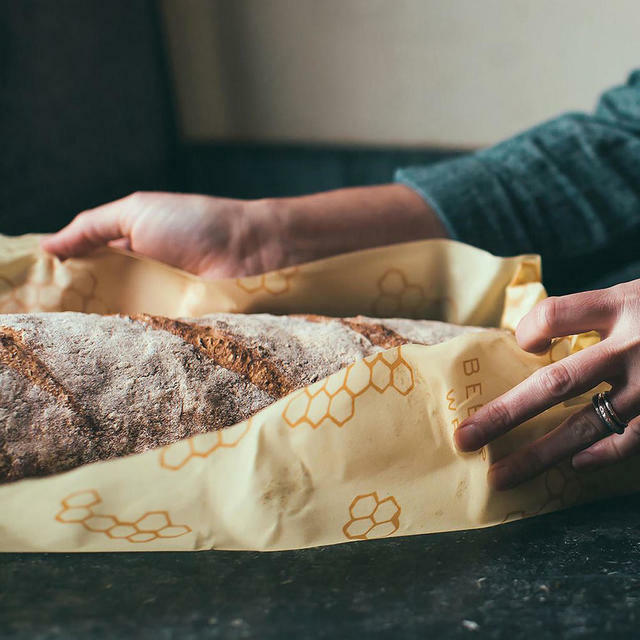 No need to struggle any more to keep your baguette fresh and tasty. These Bee's Wrap baguette wraps are a great way to keep your lunchtime sandwiches fresh and tasty. Ideal for grown up and kids alike - use on the allotment, perfect for picnics, or simply for lunch at work or school. 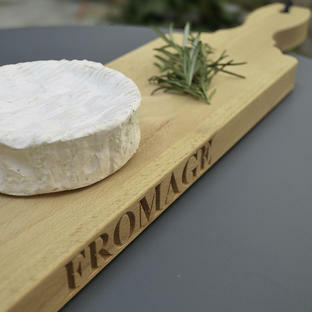 Don't just use it for baguettes, they are a great way to keep cheese, fruit or salad fresh naturally. 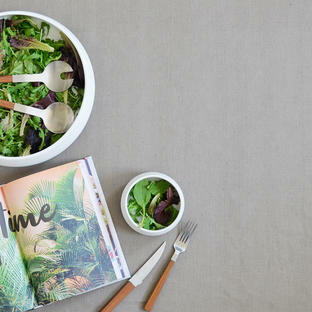 Or use as a cover for bowls and plates when alfresco dining. 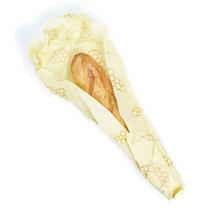 Bee's Wrap are also available as a set of 3 wraps or as individual sandwich wraps. 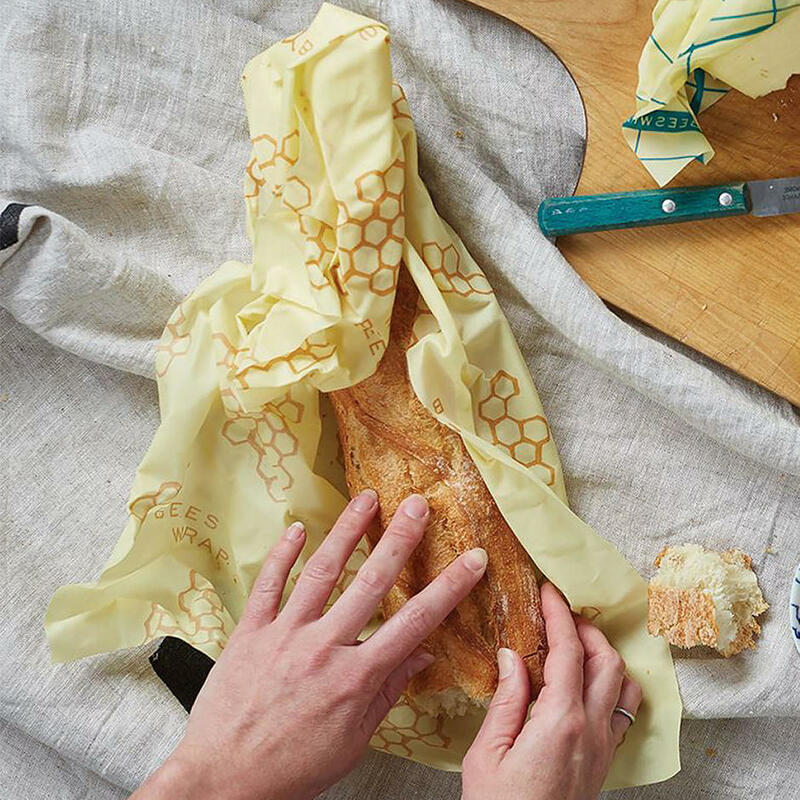 Simply wrap food and seal with the warmth of your hands. 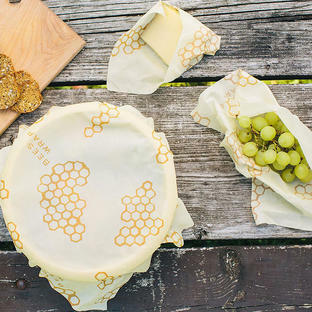 Made from organic coated cloth containing beeswax, tree resin and organic jojoba oil.